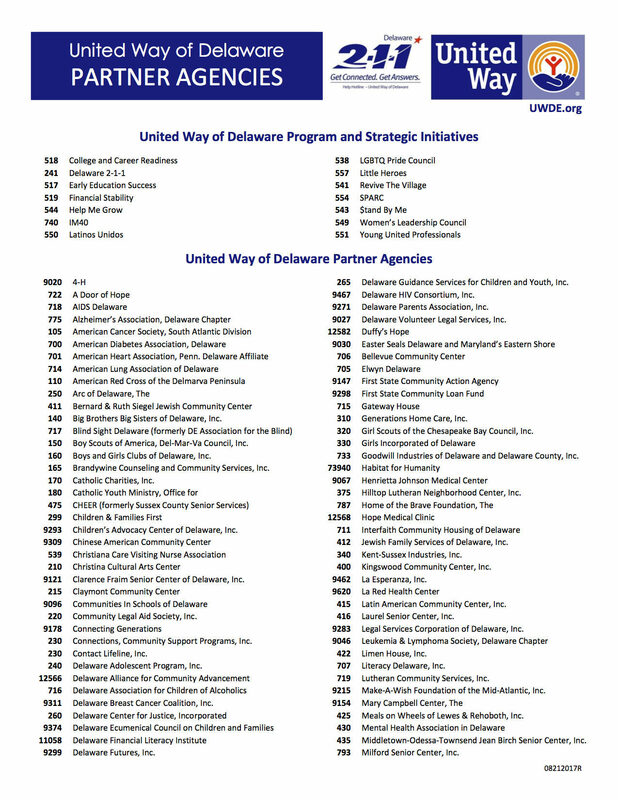 United Way of Delaware works with companies, governments, nonprofits and other organizations to address complex challenges here in Delaware. 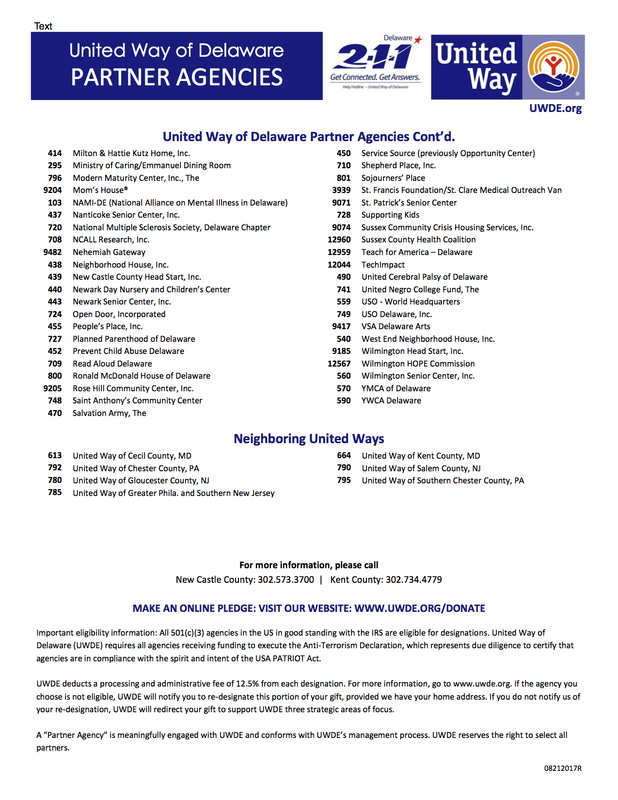 Our partners contribute more than money. Ideas, volunteer power, in-kind support and more are helping build stronger communities.